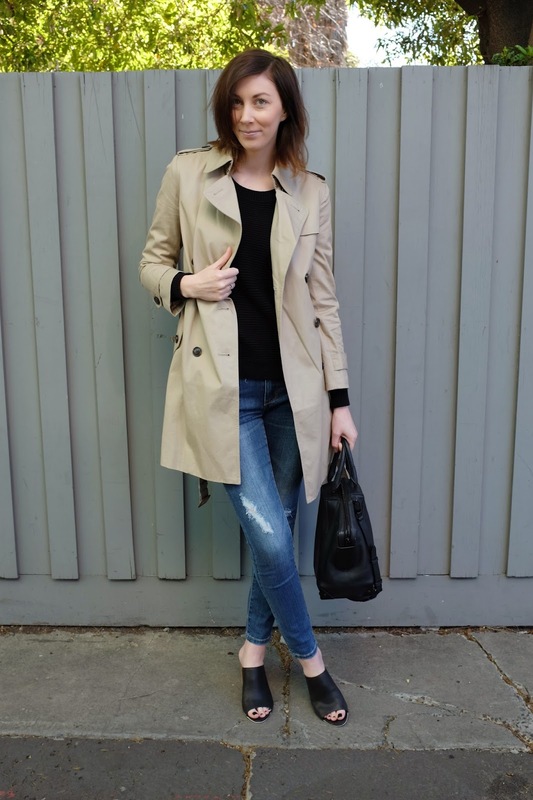 One coat that will never go out of style…the ever elegant and classic trench coat! I have been on the hunt for this baby for a while, this is because I really wanted it to be completely classic. Trenches have made a resurgence as a trend based item so there are a lot of different takes on the trench available at the moment. I was after the old faithful though with all the typical trench features…structured, the perfect camel tone, double breasted with dark buttons, straps at the wrist and shoulder, and a belt. 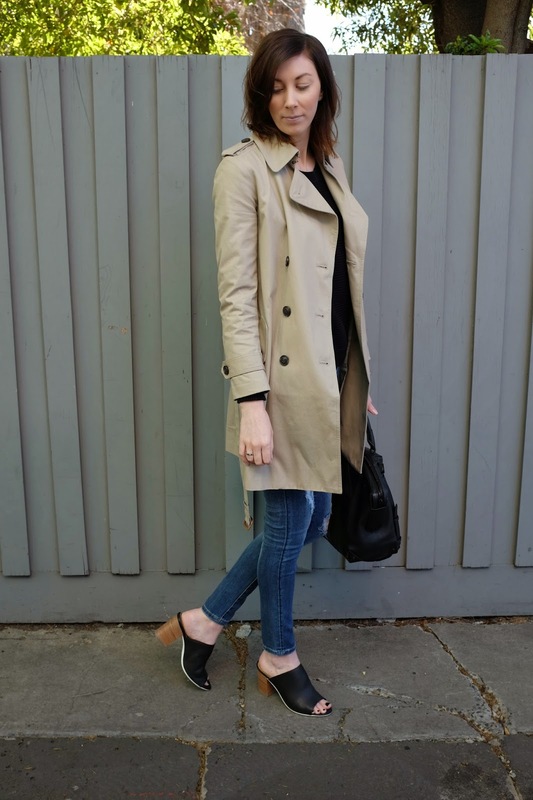 Although I’ve gone for a classic and more structured look with the trench I do prefer to wear it more casually with the belt undone and hanging loosely at the back. Paired this hero item with a couple of my fave must haves…a basic black cotton knit jumper with beautiful rib detailing (which I can’t wait to team with shorts when the weather heats up!) and skinny jeans in a classic indigo wash and distressed detailing (because you can’t go past ripped denim!). Lastly, my current front runners in the heel department finish this outfit off. Mules are absolutely one of the ‘it’ shoes for Summer and I’m obsessed with the block heel on these. It just happens to be the perfect heel height for everyday wear…and for those like myself that are not vertically challenged at all! The white edging on the sole is also a key feature and again makes them a more casual, everyday shoe.